Every spring, in Etobicoke, we are busy testing dogs for Heartworm and Tick exposure and prescribing a monthly preventative, such as Revolution, to keep your dog protected from May to the end of October. Heartworm disease is a serious and potential fatal condition caused by worms that live in the heart and the pulmonary arteries of an infected dog. Dogs acquire this infection through mosquito bites and mosquitoes readily pick up the larval heartworms from infected dogs or coyotes and carry them to new dogs. We have several new concerns this year. We are all aware that coyotes are becoming more urban. Obviously coyotes are not tested for Heartworm Disease (HWD) OR on prevention so an infected coyote is a continual source of infection to our pet dogs. We have also experienced climate changes and mosquitoes are more active much earlier than they used to be and around a lot later than October 31. Last year Royal York Animal Hospital diagnosed and treated over a dozen positive heartworm dogs and there were over 50 in the Toronto area. We expect those numbers to be higher in 2013. This spring, we are also very concerned about Lyme Disease and Ticks (see my blog on our website www.ryah.ca dated April 29, 2013) Toronto recorded over 800 positive Lyme cases in 2012 and RYAH has had several positive cases already this year. We are recommending the test HW4DX this spring for all dogs which tests for Heartworm disease but also Tick borne disease exposure. Prevention is the key. After a negative test your dog should be treated with once a month topical protection (Revolution) starting now until late fall. 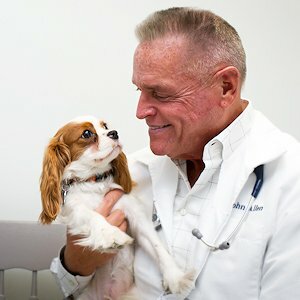 Treatment for heartworm disease and lyme diseases is available but is costly and can be dangerous. The use of once a month preventative topical treatment can eliminate the need for more expensive and uncomfortable treatments. As a veterinarian I am sometimes asked why testing is recommended every year. The reason is that without regular testing, HWD is usually only detected after the disease has progressed and has done irreversible damage. Even if you are diligent about applying the monthly prevention there are several reasons why your dog may not be protected. These reasons include: mosquitoes being around earlier in the spring and later in the fall, unintentionally missing doses or administering partial doses or late doses, dogs rubbing partial doses off or swimming immediately after treatment. HW testing remains the most reliable way of getting the “all clear” before starting treatment every year. Please call TODAY if your dog has not had a Heartworm Test and Lyme Test (HW4DX) yet this spring. 416-231-9293.